Friday 30th May 2014 – 3.25pm – Claire Brown. 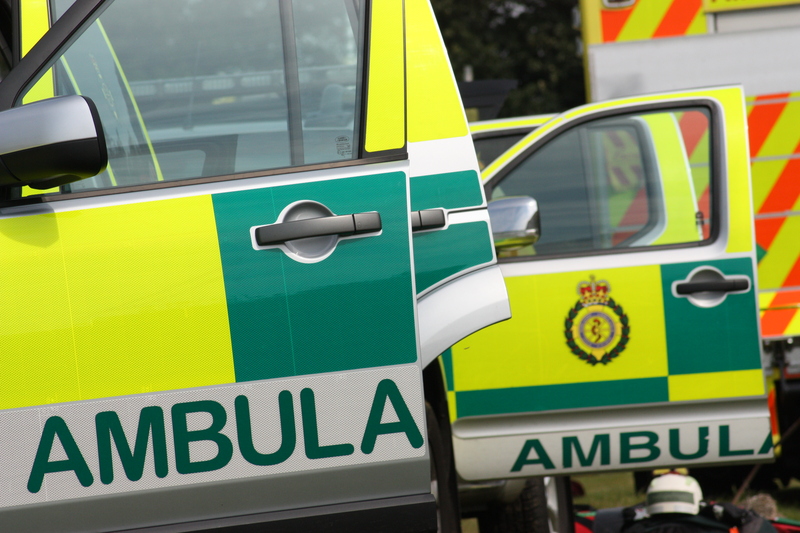 A woman who slipped on mud whilst walking her dog had to been rescued by specialist paramedics in a 6×6 vehicle in Bartley Green this morning. West Midlands Ambulance Service received a 999 call from a woman who had injured herself whilst walking her dog in Woodgate Valley Country Park, Clapgate Lane, Bartley Green, shortly after 10.00am this morning (Friday). An ambulance, a responder paramedic, a paramedic area support officer and the Trust’s Hazardous Area Response Team (HART) attended the scene. The Midlands Air Ambulance from Strensham was also requested but was later stood down. A West Midlands Ambulance Service spokeswoman said: “The woman, believed to be in her 60s, had been walking her dog on her own when she slipped on mud at the bottom of a flight of wooden stairs in the country park. “Ambulance crews walked from the car park, across three football pitches and down the stairs to reach the woman who was in a boggy coppice. Upon assessment, it was found that the woman had sustained a suspected fractured lower leg. The woman was given pain relief and her leg was splinted before she was placed on a lightweight body splint stretcher and carried back up the stairs by ambulance staff.